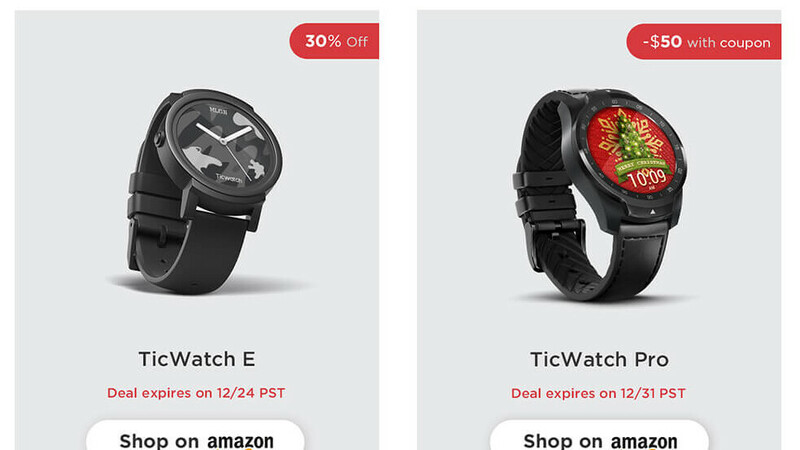 Mobvoi is running a holiday sale on its TicWatch wearable devices, the cheaper alternatives to Apple's smartwatches. The deals announced recently are available both in North America and Europe, so make sure you choose the correct store before placing an order. It's also worth noting that shipping is free to anywhere Mobvoi officially sells its smartwatches, so you won't have to worry about that. As far as the sale goes, three TicWatch smartwatches have been discounted, including the TicWatch Pro that usually sells for $250. The other two smartwatches on sale are the TicWatch Sport and Express, which got a 30% discount. Keep in mind that you can get these deals either from Mobvoi's official online store or via Amazon, whichever fits your shopping habits best. Also, these deals will be available for a limited time (December 31 for the Pro, December 24 for the other two), so place your order fast if you're looking for a cheap, but reliable smartwatch.